NEW YORK, New York, September 17, 2012 (ENS) – Earth’s ozone layer is now on track to recover during the next 50 years, UN Secretary-General Ban Ki-moon said Sunday on the 25th anniversary of the 1987 Montreal Protocol on Substances that Deplete the Ozone Layer. Emissions of ozone-depleting chemicals such as refrigerants into the atmosphere have caused holes to open annually over both poles. “A quarter-century ago, one of the greatest challenges facing humanity – the thinning of the ozone layer that protects life on Earth from the harmful ultraviolet rays of the Sun – led to what is arguably the best example yet of global cooperation on an environmental issue,” said the secretary-general in his message on the International Day for the Preservation of the Ozone Layer, observed annually on September 16. 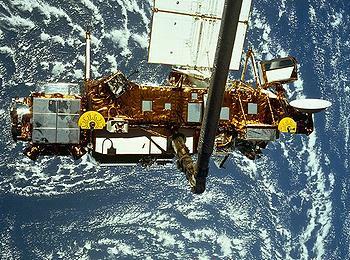 Global observations have verified that atmospheric levels of key ozone depleting substances are going down. Scientists believe that with implementation of the protocol’s provisions the ozone layer should return to pre-1980 levels sometime between 2050 to 2075. “I urge governments and all partners to apply the same spirit to the other great environment and development challenges of our times. Together, we can achieve the future we want,” Ban said. A hole in the ozone layer over Antarctica, first observed in 1979 and confirmed as an annual event in 1984, led to negotiation of the Montreal Protocol. In the spring of 2011, massive ozone destruction of 80 percent occurred over the Arctic, resulting in Earth’s first known case of twin ozone holes, one over each pole. During late March and early April, the Arctic ozone hole was positioned over heavily populated areas of Western Europe, allowing high levels of damaging ultraviolet rays to reach the surface. But governments are working together to heal the ozone layer. On September 16, 2009, the Vienna Convention and the associated Montreal Protocol became the first treaties in the history of the United Nations to achieve universal ratification. Ratified by 197 countries, the Montreal Protocol has enabled reductions of more than 98 percent of all global production and consumption of controlled ozone-depleting substances. Due to controls implemented under the protocol, the global community will be spared millions of cases of skin cancer and cataracts, has saved what UN officials calculate to be trillions of dollars in health care. Direct health care savings in the United States alone is estimated at US$4.2 trillion. Action under the Protocol has has climate benefits because ozone depleting substances are also global warming gases. The reduction in the production and use of these substances yielded a reduction of approximately 25 billion tonnes of carbon dioxide between 1990 and 2000. The Montreal Protocol’s Multilateral Fund has assisted developing countries to meet their compliance commitments by financing industrial conversion, technical assistance, training and capacity building support worth over US$2.8 billion. Without the Protocol, UN officials estimate that by the year 2050 ozone depletion would have risen to at least 50 percent in the northern hemisphere’s mid-latitudes and 70 percent in the southern mid-latitudes, about 10 times worse than current levels. “If concerted action was not taken, by now we would be living a nightmare, with significant increases in skin cancers and cataracts, and substantial impacts on ecosystems,” said Gonzalez. 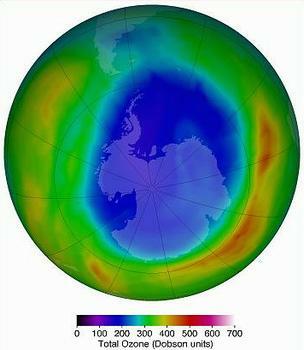 The protocol has been responsible for the global phase-out of ozone depleting chlorofluorocarbons, CFCs, by 2010. CFCs were used as aerosol propellants for products like hairsprays, refrigerants, solvents and blowing agents for foams. Hydrochlorofluorocarbons are one type of chemical that is being used as a substitute for CFCs. But these chemicals still contain chlorine and have ozone-depleting potential and they will contribute to global warming. Production of HCFCs is to be phased out by 2030 and has been limited from 1996. CFCs and HCFCs are being replaced by hydrofluorocarbons, HFCs, but these chemicals also contribute to global warming, so other alternatives are being sought. Hedegaard called for agreement as soon as possible on a global phase-down of HFC gases. She urged governments to learn from the Montreal Protocol as they negotiate a new global climate agreement, which must be in place by 2020. The Montreal Protocol is legally binding and excludes those that refuse to participate from sharing in its benefits.